Couldn’t make it out to SDCC this year? Me either! So does that mean we just sit and wait for Con updates on the web? 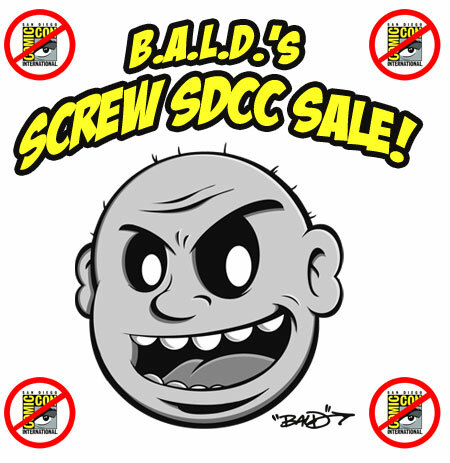 Check the CTU Store for ridiculous pricing on BALD's amazing customs. 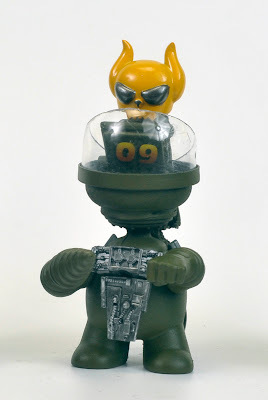 Matt Anderson is currently taking preorders for these beautiful custom Dunnys he's calling the "Ghost in the Machine" series. Matt's starting off with 10 of them in varying color schemes and light colors, and you can preorder one for $80. Email Matt, or go find him on Facebook, to reserve yours. 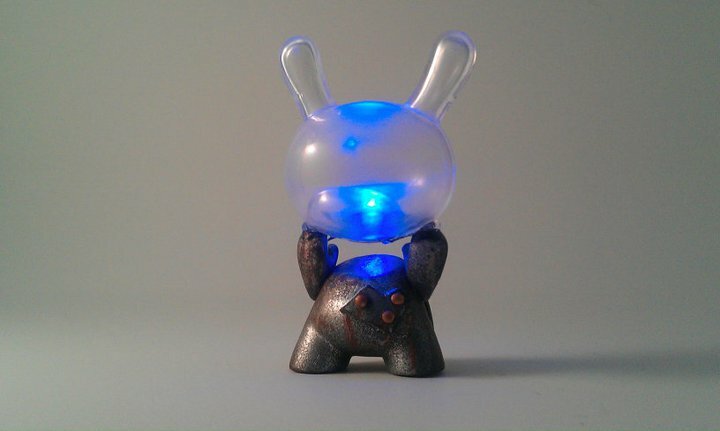 An amazing use of the clear Dunny head- the coolest nightlight EVER. Want. What the hell do I write as a lead-in to this photo? Some things are so awesome that words fail me. 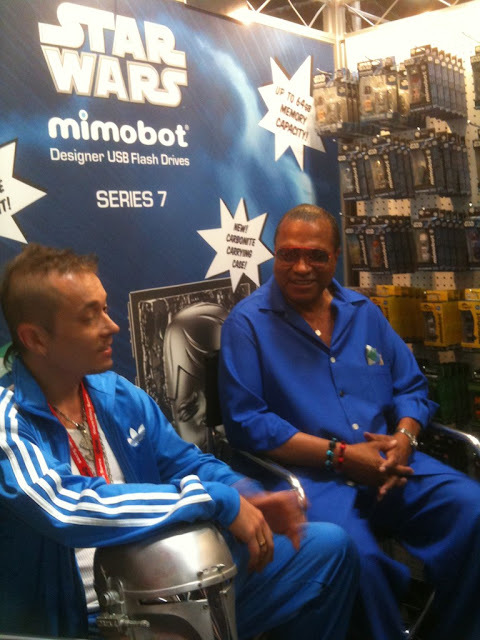 What do you say to Billy Dee Williams... when you've been actively bootlegging his action figures for years? 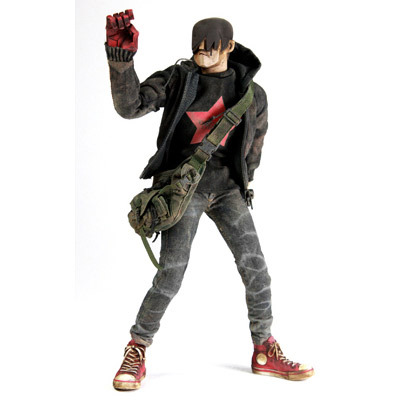 We are now accepting preorders for these awesome 1/6-scale Adventure Kartel figures from ThreeA. 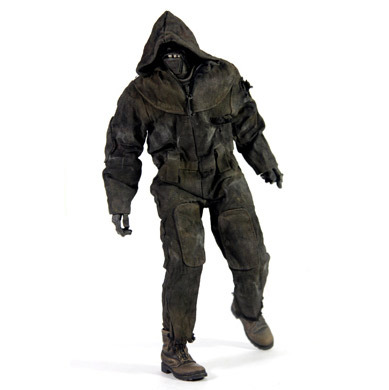 These are the retailer figures and there are 8 of them in the Retailer Adventure Kartel series. Our mailing list subscribers got first crack at these preorders which is why you do not see all 8 figures here in our 3A section. 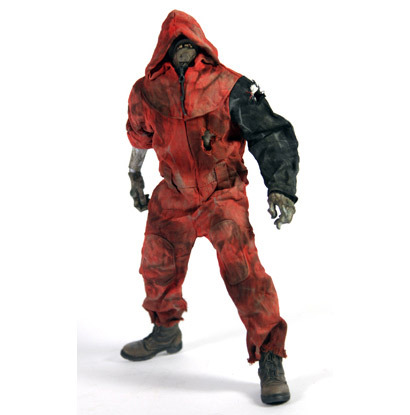 We currently have preorders available for all 3 HoodZombs as well as the Tommy Red figure. They are $90 each, and a $15 preorder deposit is all that's required at this time to secure your order. The balance will be due when these figures are ready to ship to us. As an aside, we are increasing our order so there WILL be a few more different figures from this series available on our site in the near future. Camilla Customizes Kuro DIY from Camilla d'Errico on Vimeo. Camilla d'Errico will be at SDCC booth #4723 selling her first vinyl toy: Kuro! There is a GID "Glowing Blueberry" SDCC Exclusive colorway ($59.99) to be had. All prices include the DIY Kuro itself, plus the custom original art by Camilla d'Errico. 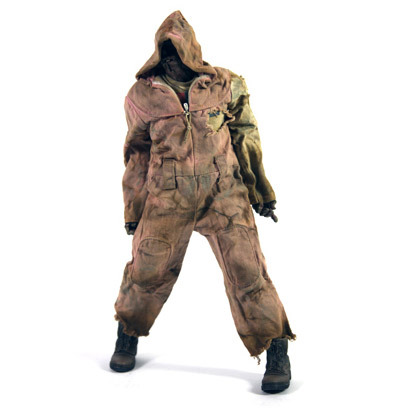 This year, Kris Dulfer of Kid Ink Industries will be attending SDCC, laden with Swag Packs to give out to YOU! Each Swag Pack will contain a hand-poured Kid Ink resin skull keychain in a variety of colors, a sticker pack which includes several stickers, including the Tenacious Dog sticker, and maybe if you're really lucky, Kris will give you an original sketch. How do you score a Swag Pack? Glad you asked! We'll be communicating with Kris throughout SDCC and we will tweet his location from the Tenacious Toys Twitter account. All ya gotta do is follow us, read our tweets, and go find Kris at the appointed locations. Tell him you saw my tweet and he'll hand you your Swag Pack. Pretty rad, right? Doesn't get much easier than that. Kris will be easy to find because he'll be wearing his black Kid Ink Industries Alchemy symbol shirt, pictured above. BUT, the awesomeness doesn't end there! If you purchase any of Kris Dulfer's custom Mecha Tanks (one of which is pictured above) from our website during SDCC, Kris will personally hand you one of his extremely limited-edition Alchemy t-shirts, as a thank you for your purchase! Buy the custom, email me to tell me you're at SDCC and I'll pass the info to Kris. Then I'll get him to find you. Andy from Toys R Evil shares his Top 10 List of toys you should buy at SDCC. 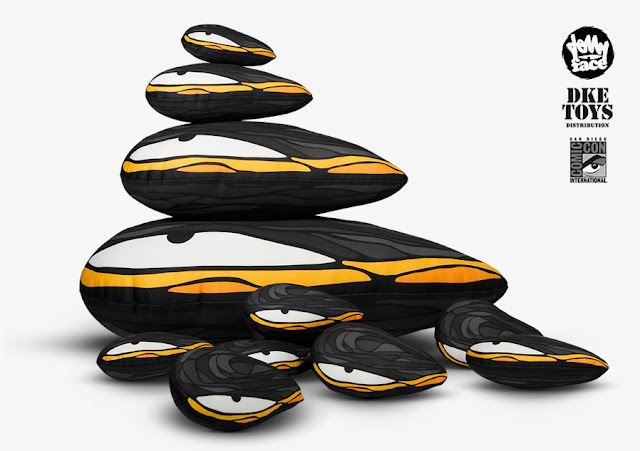 The new JellyMussel plushies will be revealed at DKE Toys booth #4728. JellyMussels come in 4 sizes: from the XXL to the pocket size (from 25 to 6 inches long). The email JellyFace sent us said "Please stop by and say hello..." which is quite vague. Will these new plushes be SOLD at the DKE Toys booth? I sure hope so. It's be nuts to roll up with new plushes and not sell some... DKE is a distributor so at the very least, the JellyMussels will be available to retailers after SDCC. Do you hear a murmur from the seabed? A whisper? 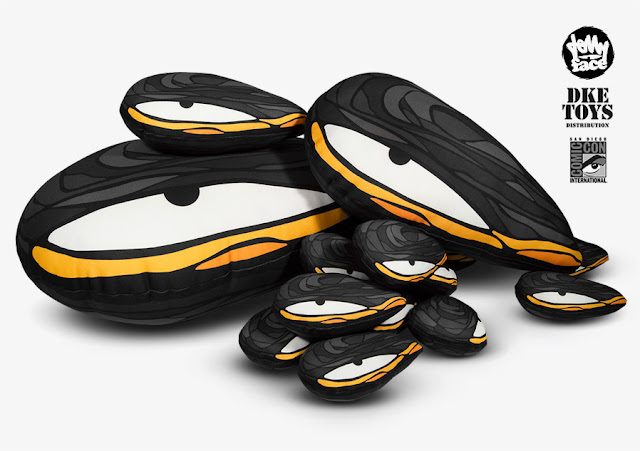 Some JellyMussel are gathering, coming from all over the ocean … JellyMussel are enraged at the polluted ocean and they are going to get a revenge! A revenge with no half measures. Be careful, they are watching you!